Proudly Serving SW St. Louis for Over 40 Years! At VisionCare Consultants we have a responsibility to educate our patients and provide options to improve their quality of life and protect them from vision related pathologies. We use the highest quality materials and personal styling to dispense our patient’s designed eyewear. Our goal is to earn the trust of our patients by providing these services with the utmost of integrity and professionalism. We do this with great pride and commitment. Tending to our patient’s vision is only part of what we do. Our optometrists’ discover our patients daily routines, body health, social and sport activities to understands their visual requirements. Through investigation and science, we use innovative technology, excellent service and a caring team to develop optimal patient outcomes. We create solutions by offering state of the art contact lens strategies and unique spectacle lens devises. We invite you to refer family, friends and co-workers to our practice. We proudly serve St. Louis. Please feel free to request an appointment online or contact us by clicking the buttons below. Treat vision-related problems, and advance the science of eye care, all while meeting your visual needs in a pleasant and professional manner. At VisionCare Consultants, our ultimate goal is to satisfy your visual needs in a pleasant and professional manner. 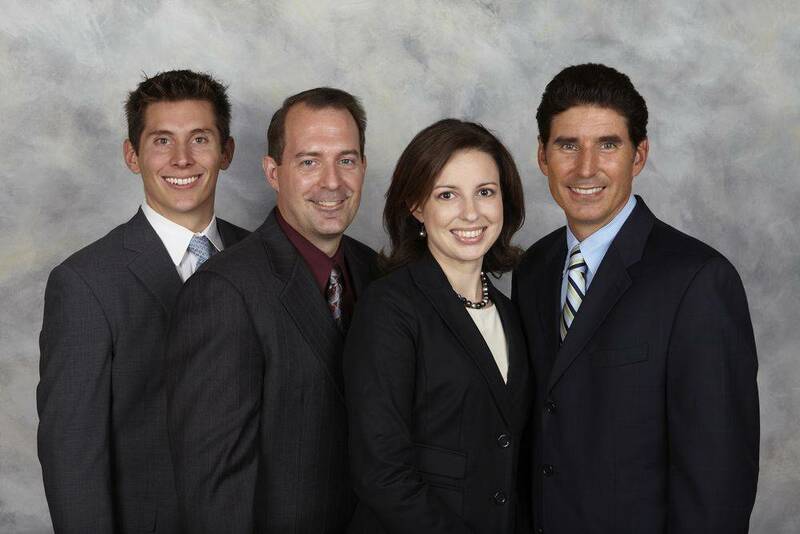 Please take a moment to meet our eye doctors and feel comfortable knowing our patients continue to receive the best comprehensive family eye care for over 40 years. At VisionCare Consultants in St. Louis, we provide comprehensive eye exams, treatment of eye disease, specialty contact lens fittings, and designer eyeglasses. With our high tech – high touch approach, we have two simple goals - treat vision-related problems and advance the science of eye care. Staff very professional & very accommodating to all my contact issues as well as checking on the health of my eyes. I love this place. I tried to switch once because it is a bit more expensive. Guess what, for some things you get what you pay for. Dr. Wehner and staff are fantastic! I've been going to VCC for 20 years. The doctors, Dr. Frederich in particular, are fantastic. Friendly, informative and responsive when you call after hours. I recommend them to anyone looking for an eye doctor. 1st time patient to Vision Care Consultants. Dr. Brawley was very nice. He and his assistant Becki took their time and was very thorough and informative. Would give 10 stars if it was an option. Dr Friederich and staff is professional, knowledgeable and thorough. I will recommend them to my friends and family. During your comprehensive eye examination, your Vision Care Consultants doctor will assess the health and function of your eyes and perform various tests of your vision. We recommend a yearly examination as a wise investment in the protection of your eyesight. Early detection and treatment of children’s vision problems are critical. Once treated, your child has greater potential to succeed. Childhood eye conditions left untreated can be more difficult to correct. Our pediatric specialist can detect those eye problems during regular eye examinations. Simply put, seasonal allergic conjunctivitis (SAC) is a more common and persistent form of ocular allergies that occurs during changes in season, which include outdoor weeds, grasses, and tree pollen. Whereas perennial allergic conjunctivitis (PAC) is a more mild and chronic presentation that occurs year-round from common indoor allergens, such as animal dander, molds, fungus, and even dust mites.